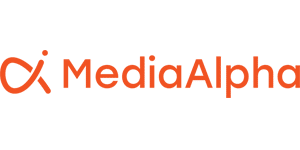 MediaAlpha, the pioneer in programmatic platforms for vertical search media, is bringing the lead generation industry out of the Stone Age with the first and only real-time bidding (RTB) enabled Demand-Side Platform (DSP) for cost-per-lead media. MediaAlpha’s programmatic media buying platform, MediaAlpha for Advertisers, enables media buyers to buy leads in real-time on a self-service, automated basis, with full transparency and control. MediaAlpha’s platform was initially deployed to modernize lead buying in the auto insurance industry, and the company has now successfully expanded into health and life insurance, travel, personal finance, and home services. Lead generation is a $10 billion global industry and remains an essential customer acquisition channel for many industries. However, lead buying is still a highly manual process, conducted through dozens of opaque intermediaries, using a negotiated contract-based process that locks media buyers into fixed pricing and volume commitments. By contrast, programmatic buying is scaling rapidly in other online media channels such as display, video, keyword search, and mobile, with media buyers benefiting greatly from the full transparency and controls offered by real-time, self-service bidding platforms. MediaAlpha for Advertisers is the lead generation industry’s only programmatic solution that brings these efficiencies to lead buying to enable buyers to execute modern, data-driven marketing strategies to make smarter, more effective buying decisions at scale across all of their lead sources. Self-service programmatic buying platform that provides full, real-time control over campaign management, audience targeting, and data-driven bidding strategies. Algorithmic, real-time bidding capabilities to replace static, negotiated pricing and budget requirements. Integrated platform to manage all lead buying, unlocking better cross-partner insights through comprehensive real-time reporting, and the ability to quickly execute buying strategies across all partners. Data-driven audience targeting powered by first and third party data sets and support for dynamic propensity score and lifetime value-based bidding models. The MediaAlpha for Advertisers platform dramatically increases lead buying efficiency by both eliminating labor-intensive, time-consuming operational activities associated with the traditional lead buying model as well as capitalizing on the transparency, granular buying controls, and data-driven bidding optimizations available through the platform, all of which enable greatly enhanced ROI from lead buying campaigns. MediaAlpha’s expansion follows its second consecutive year with more than $100 million in annual revenue.